What is my allowance for checked baggage? What is my allowance for cabin baggage? What is the weight and piece concept? Where can I find my booking reference/PNR? Can I reserve seats for my Emirates flights? Your Platinum membership is now even more rewarding. Fly more with us and you'll be able to activate exclusive privileges, including Tier Miles Rollover, complimentary upgrades and more. 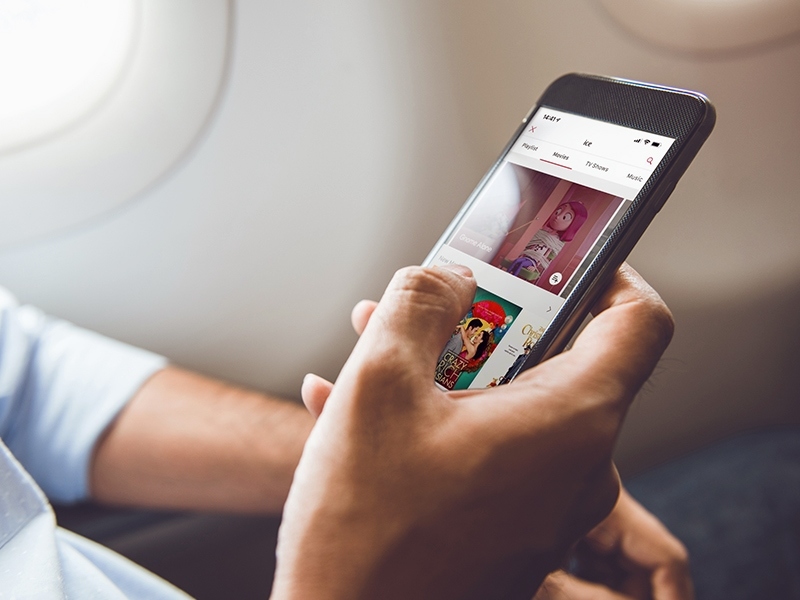 Search and book your next flight from the convenience of your mobile. Browse our destinations and latest fares and get ready to book your next adventure. Select and pay for your favourite seat before you fly. 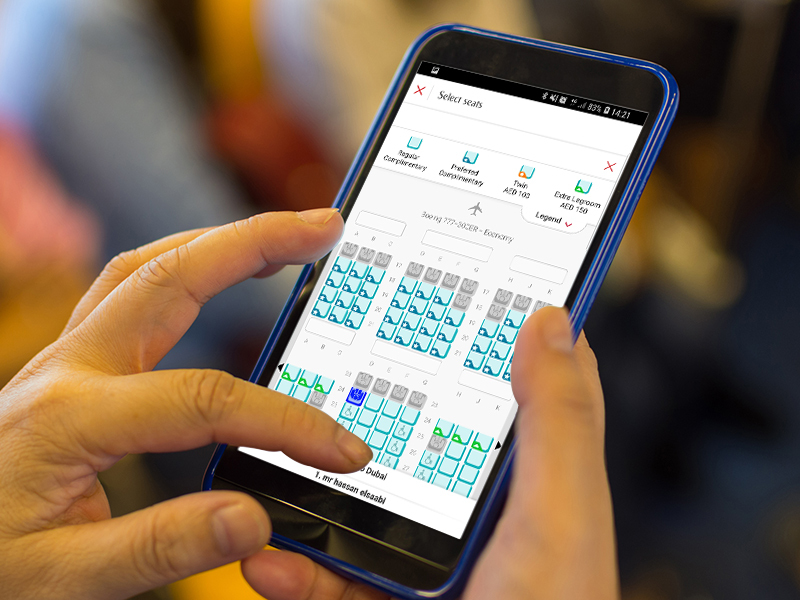 Browse the seat map and select a seat with extra legroom for longer flights, a window seat with a great view, or an aisle seat to easily get up and move around during your flight. Add the latest blockbusters and your favourite boxsets to your playlist using the Emirates App. Then sync it on board and sit back to hours of entertainment. 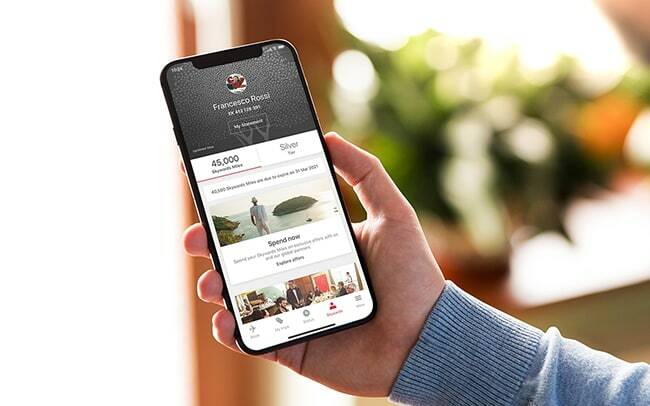 Explore ways to earn and spend your Skywards Miles directly within the app. 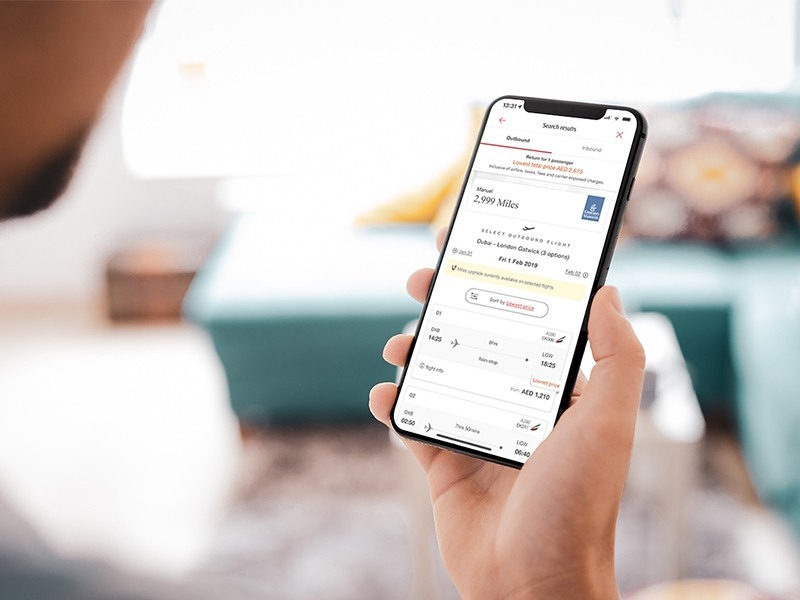 Enjoy easy access to information about your tier status, benefits and Skywards Miles balance, and manage your account wherever you are. Check in online and download your boarding pass. You can print it, or send it to your phone via SMS or email. 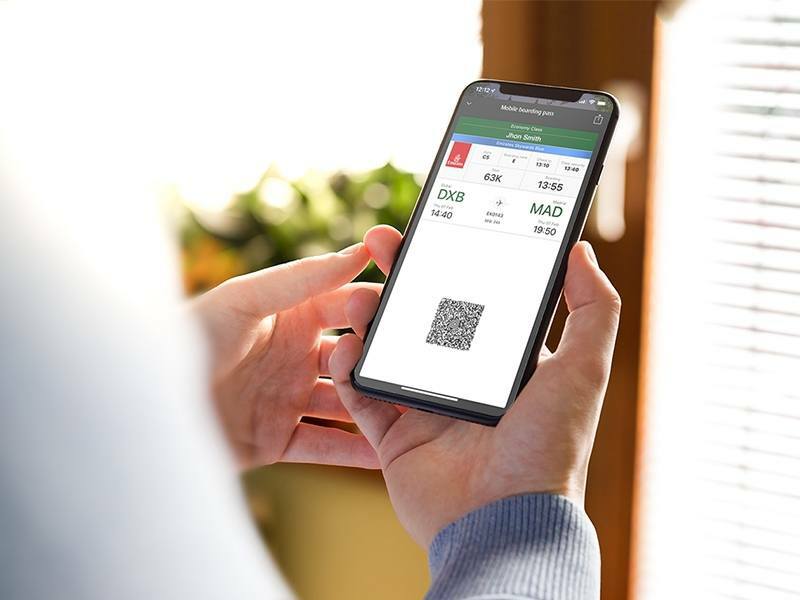 For iPhone you can download your boarding pass directly to Wallet. And for Android, you can access your boarding pass from Google Now or Samsung Wallet. Easily access helpful updates as they happen, keeping you informed at every step of your journey. 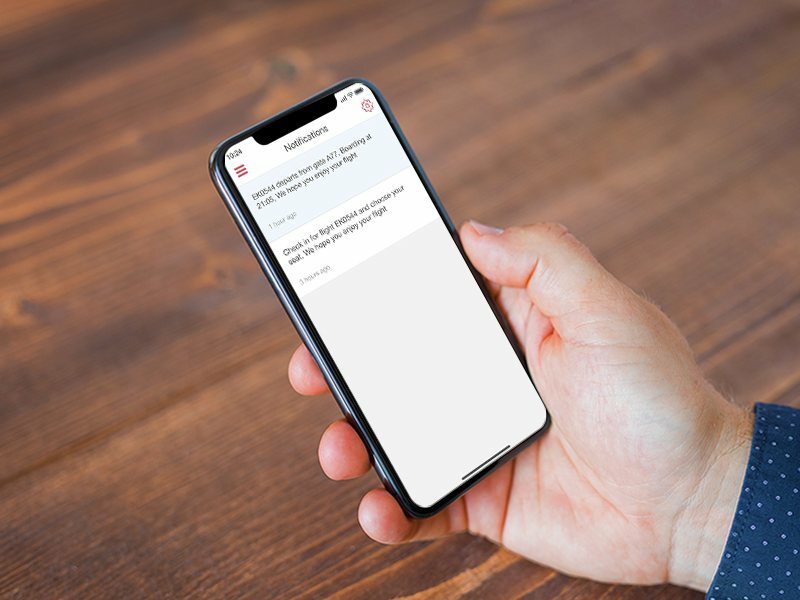 Receive real-time information about your check-in, departure gate, baggage belt and more, straight to your personal inbox. With My Trips you can personalise your entire journey. Book Chauffeur-drive, select your seat, buy extra baggage, book a stopover, insure your trip and more. Organising your travel has never been easier. 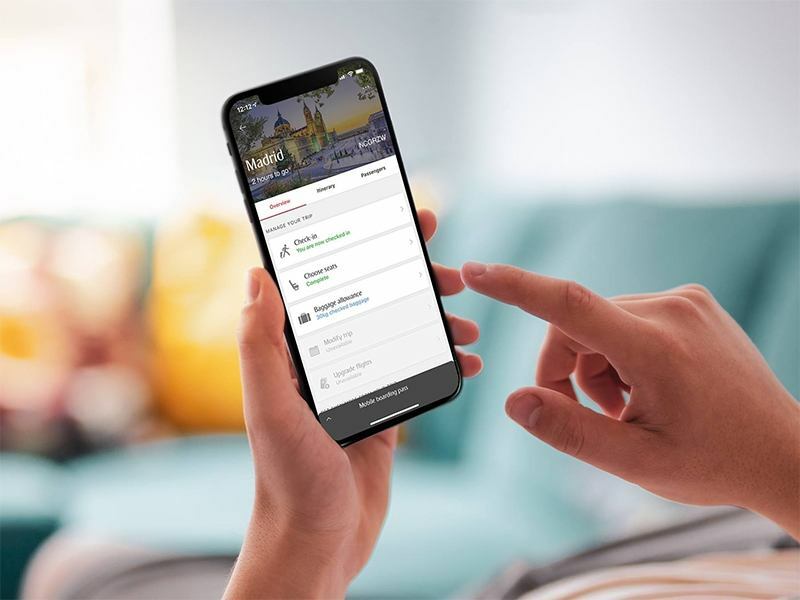 Download Emirates App to manage every aspect of your booking on the go. CareersCareers Opens an external website in a new tab. Media CentreMedia Centre Opens an external website in a new tab. Save with our latest fares and offers. Book flights, check in, choose seats and meals. AppStore Opens an external website in a new tab. Weibo Opens an external website in a new tab. Opens an external website in a new tab. © 2019 The Emirates Group. All rights reserved. Web chat is now loaded.